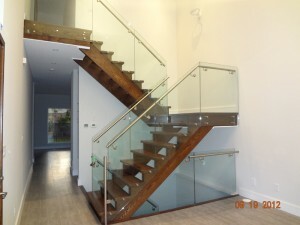 How to Take Care of Your Wooden Staircase - Stair Star Inc.
Do you have a beautiful set of wooden stairs? If so, how you maintain and take care of them can influence their lifespan and how they look. Neglecting your wooden staircase will only deteriorate them faster, which can affect the integrity and safety of them. Plus, you spend all this time, money, and effort to installing them, don’t you want your staircase to look like new as long as possible? To help keep your wooden staircase looking at its best, here are a few tips to maintain it. 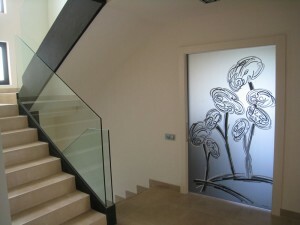 Having a regular cleaning schedule that includes your staircase is the first step. The more the stairs are used, the more dirt, dust, debris, and other particles stick into the wood. Add in the scuffs of shoes, all of these things start to scratch the wood and make it look dull. Regularly sweep and vacuum the staircase. If there’s a spill, wipe it as soon as possible. Liquids can cause a lot of damage to wood if you let it sit. 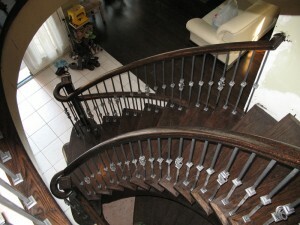 Look for a cleaner that is meant for the type of wood your staircase is made out of. The more you can add to protect the wood on your staircase, the better it will be off. There are a few ways you can do this. To start, you can add a rug at the bottom of the staircase. That way, before people step on the wood (especially with shoes), they can dust off their feet and ensure they are not tracking in any dirt or mud. You can add a sealant or stain to your stairs to add a protective coating to it. This will help stop dirt and dust from sticking into the wood. Plus, a stain can give the wood a unique colour and shine to it. A layer of wax every so often will also keep the stairs protected from everyday wear and tear. When cleaning your stairs, be very cautious over what you use. Harsh chemicals can strip away at the wood and cause it to break down and look dull. Look for gentle cleansers that won’t strip the wood, and will help add in any nutrients the wood needs to keep it healthy and full of life. 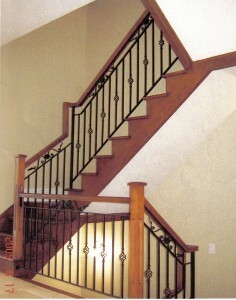 Although this may seem like much, having a regular maintenance schedule will help prolong the life of your staircase. Every week you should sweep the staircase to keep them clean. Vacuum up, and large messes and address spills as soon as they happen. Every month, give the staircase a deep clean with cleaners that are meant for wood. Remember, avoid harsh chemicals that can strip away the layers of the wood and leave them dull. Once a year you should add your protective layer of wax or another sealant. Regularly doing this will help maintain the protection and ensure that there won’t be a time that the wood is completely exposed to everyday wear and tear.